A few days before christmas Wil Janssen, myself and BiZZdesign founded a new company: InnoValor. And today is our first working day! 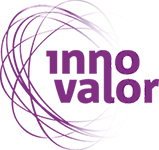 InnoValor stands for Value through Innovation. We provide research-based advice related to ICT. Our focus is on Identity, privacy & trust, Business Models, Agility and Innovation Management. At the start a total of eight experienced advisors work at InnoValor, with Wil and myself as managing partners. All eight are former Novay employees, and most have a PhD. We are an independent part of BiZZdesign, which is a succesful spin-off of Novay (then still called Telematica Instituut). For more information: see www.innovalor.nl, follow us on twitter (@InnoValorNL) or read our blogs via RSS. This entry was posted on Thursday, January 2nd, 2014 at 13:41 and is filed under Uncategorized. You can follow any responses to this entry through the RSS 2.0 feed. You can leave a response, or trackback from your own site.